Skin Dimensions Online is owned and operated by board–certified dermatologist Dr. Carl Soderstrom whose achievements in the field of dermatology and patient care are numerous and significant. 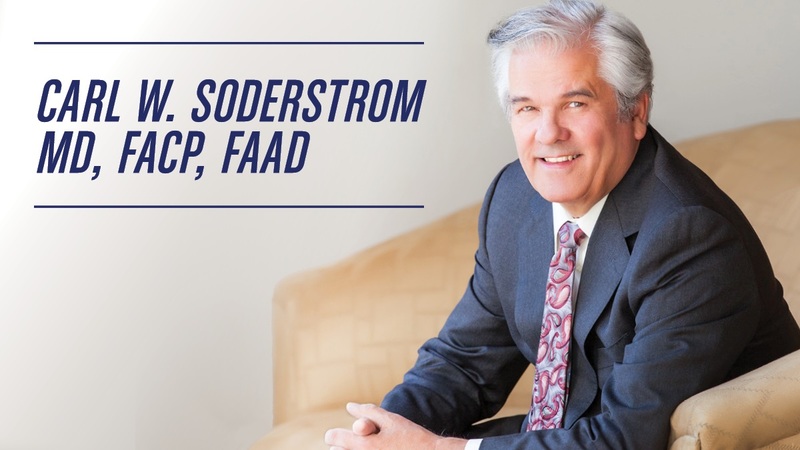 Growing up in Streator, Ill. Soderstrom said that he always knew he wanted to be a doctor and went on to receive his medical degree from the University of Illinois Medical School in Chicago. To be near family, and to care for friends, colleagues and his community, Soderstrom opened a small dermatology office in Morton, Ill. in 1973. Focusing on the needs of patients in Central Illinois, Soderstrom Skin Institute has grown with the demand for quality dermatology and plastic surgery services. Today, it is one of the top skin care facilities in the United States. Soderstrom Skin Institute provides comprehensive skin care at 7 locations in central Illinois and eastern Iowa. With more than 125 years of combined experience, the board certified dermatologists, plastic surgeons, Mohs micrographic surgeon and certified physician assistants of Soderstrom Skin Institute, are qualified to diagnose and treat any and all dermatologic conditions. Soderstrom services are as unique as every patient. Years of study have been done to develop Dr. Soderstrom’s exclusive private label skin care line including advanced, pharmaceutical-grade products. Skin Dimensions products contain unique and innovative ingredients with the most appropriate formulations of glycolic, retinol, sunscreen, vitamins A, C, E, Co-Q10, antioxidants and green tea that can assist clients in the achievement of their own personal skincare objectives.